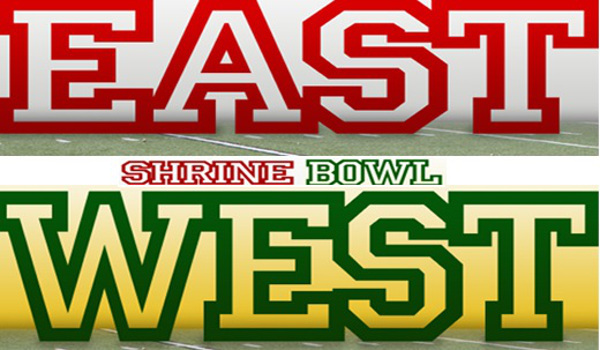 KANSAS - The Kansas Shrine Bowl Board of Directors would like to announce the East and West teams for the 2018 Kansas Shrine Bowl. These players have been invited to participate in the 45th Annual Kansas Shrine Bowl to be played at Carnie Smith Stadium on the campus of Pittsburg State University on July 28th, 2018 at 7:00 pm. All Shrine Bowl events are produced and presented to benefit Shriners Hospitals for Children [SHC]. SHC is a health care system of 22 hospitals dedicated to improving the lives of children by providing pediatric specialty care, innovative research, and outstanding teaching programs for medical professionals. Children up to the age of 18 are eligible for care and receive all services in a family-centered environment, regardless of the patients' ability to pay. The 45 th Annual Kansas Shrine Bowl will be played Saturday, July 28 th, 2018, in Pittsburg, Kansas, at Carnie Smith Stadium on the campus of Pittsburg State University. Kickoff will be at 7:00 pm. Tickets and additional information are available at www.kansasshrinebowl.com or by calling 800-530-5524.